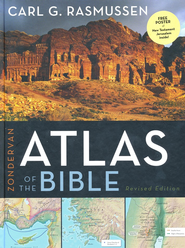 A resource I own and would recommend is Dr. Carl G. Rasmussen’s Zondervan Atlas of the Bible. It is currently on sale for the bargain price of 19.99 at Christianbook.com. Click here to read more. Click here to order. A good resource for a great price! Zondervan Atlas of the Bible … a thoroughly revised edition of the most comprehensive Bible atlas ever designed for * Students * Bible Study Groups * Adult Learners * Travelers/Pilgrims to the Lands of the Bible * Pastors * Teachers * All Lovers of the Bible This major revision of the Gold Medallion Award-winning Zondervan NIV Atlas of the Bible is a visual feast that will help you experience the geography and history of Scripture with unprecedented clarity. The first section of the Atlas introduces the ‘playing board’ of biblical history–using three–dimensional maps and photographic images to help the lands of the Bible come alive. The next section, arranged historically, begins with Eden and traces the historical progression of the Old and New Testaments. It provides an engaging, accurate, and faithful companion to God’s Word–illuminating the text with over one hundred full-color, multidimensional maps created with the help of Digital Elevation Modeling data. It concludes with chapters on the history of Jerusalem, the disciplines of historical geography, and the most complete and accurate listing and discussion of place-names found in any atlas. Throughout the Atlas, innovative graphics, chronological charts, and over one hundred specially selected images help illuminate the geographical and historical context of biblical events. The Zondervan Atlas of the Bible is destined to become a favorite guide to biblical geography for students of the Bible. This accessible and complete resource will assist you as you enter into the world of the Bible as never before. In November 2005 Ferrell Jenkins and I made a personal study trip to Israel. One factor that made that trip significant was the fact that this was Mr. Jenkin’s (who has directed scores of tours to Israel) first visit to Israel since the events of 9/11/2001. So the purpose in part was exploratory, to see what had changed and new developments/excavations, etc. He made posts of photos and comments every day. You can still access that Nov. ’05 Israel trip info here. I thought some of our readers might enjoy the photos and info. This was before the widely read Ferrell’s Travel Blog. I can tell you, that was a great trip. There is nothing quite like on-site Bible study! I think we each took around 2,500-3,000 photos. Rolling Stone Tomb in Northern Israel, Nov. 2005. Photo by Leon Mauldin. This is one of my favorite shots from that trip. You can see there is no green grass, as it was dead and dry in Nov. It is good to be able to see the land at different times of the year if possible. This Roman tomb is not far from Megiddo. 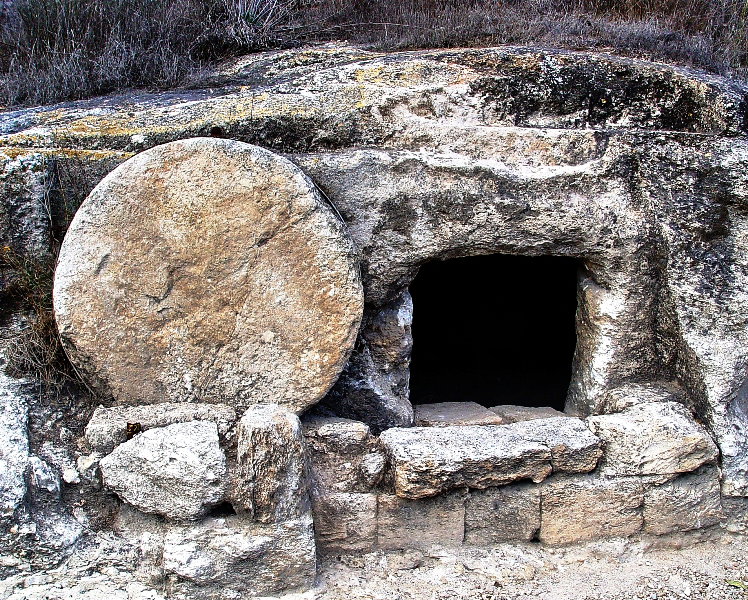 Its use dates back to the time of Jesus, and well illustrates the kind of tomb in which Jesus was buried. Unfortunately it is not possible to get this same photo today as there is a safety railing in front of the tomb. 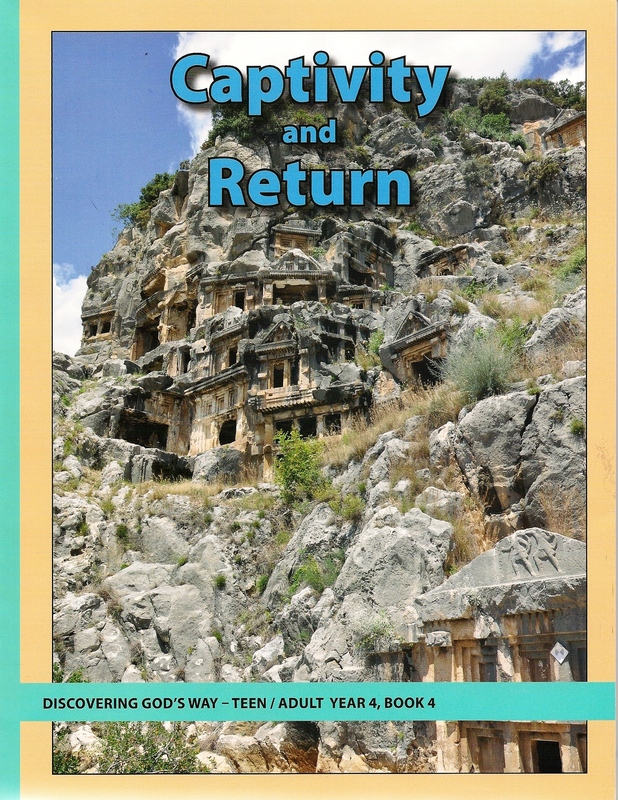 Cover, Captivity and Return, authored by Leon Mauldin. 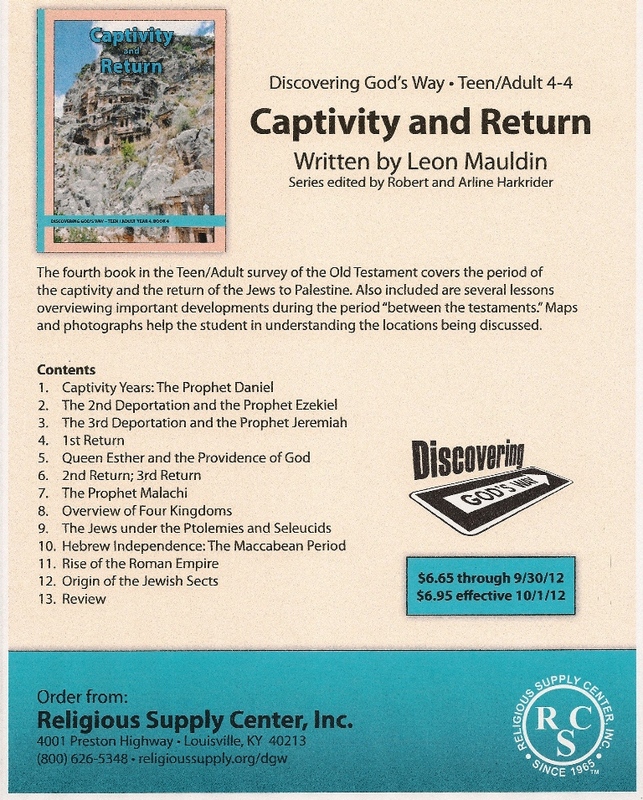 Table of Contents for Captivity and Return, by Leon Mauldin. The captivity and return can be a challenging period of biblical history. It is hoped that this book will help contribute to a better understanding of these times, as well as provide some background for New Testament studies. Toll free number for orders is 1-800-626-5348. It is $6.65 through 9/30/2012, and then $6.95. Price does not include shipping. 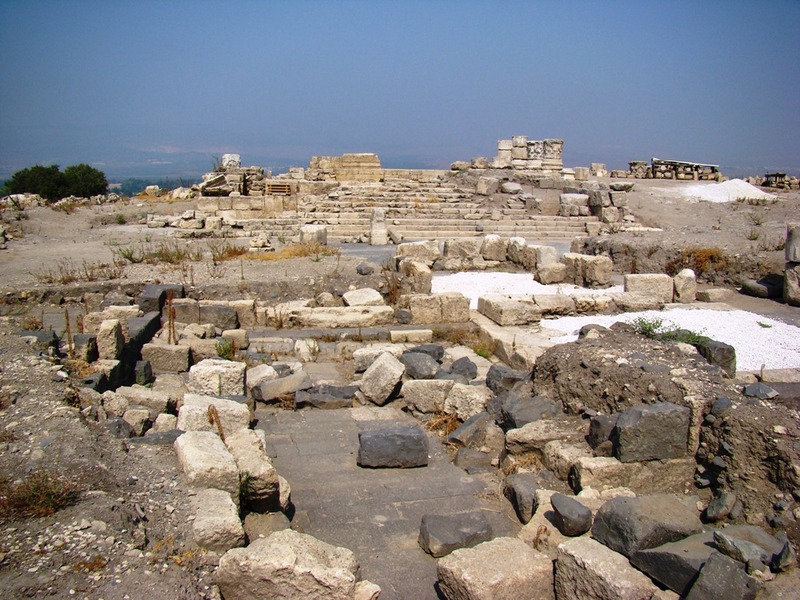 Archaeologists have determined there were three building phases at Omrit: first, the temple built by Herod the Great, second, the temple built probably by Trajan (AD 98-117), and third, an industrial complex to the north constructed in the Byzantine period. Entrance to Omrit. Photo by Leon Mauldin. Here you can see the steps leading up to the temple. This site has been identified as a location for Imperial Cult Worship. 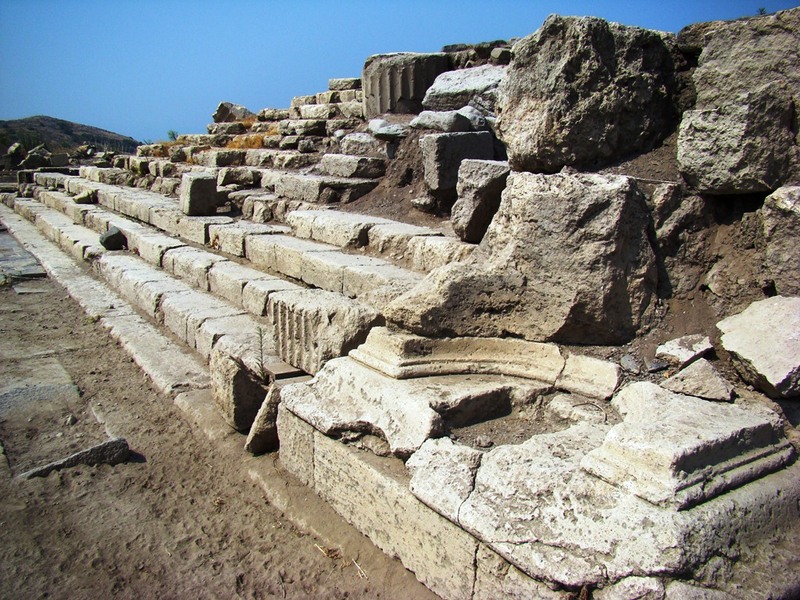 Steps to Imperial Temple at Omrit. Photo by Leon Mauldin. This photo shows the southwest corner of the temple. The large stones horizontally placed at center have been identified as Herodian. Herod was a politician and he overtly courted the favor of the Emperor Augustus. Section of Herodian stones in Omrit Temple. Photo by Leon Mauldin. The site abounds with interesting architectural fragments. 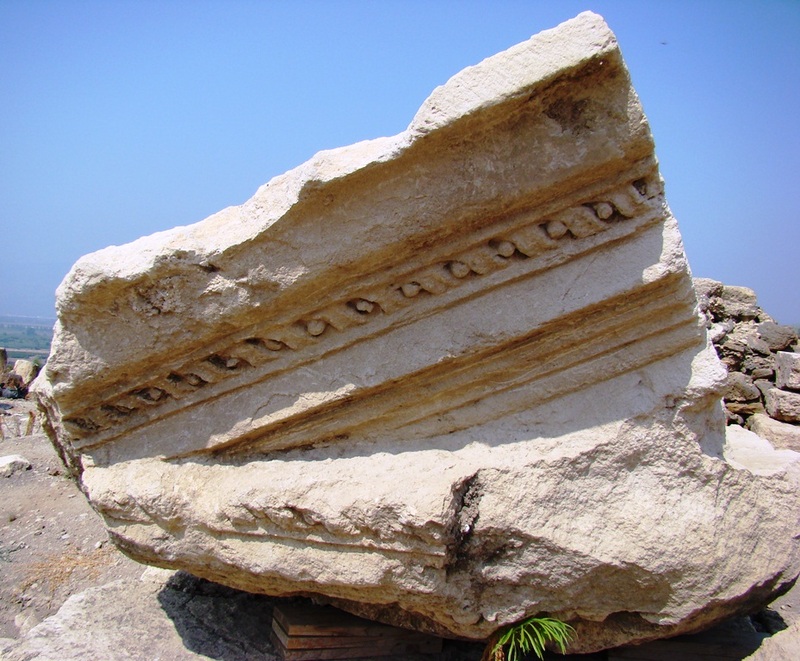 Architectural fragment at Omrit. Photo by Leon Mauldin. 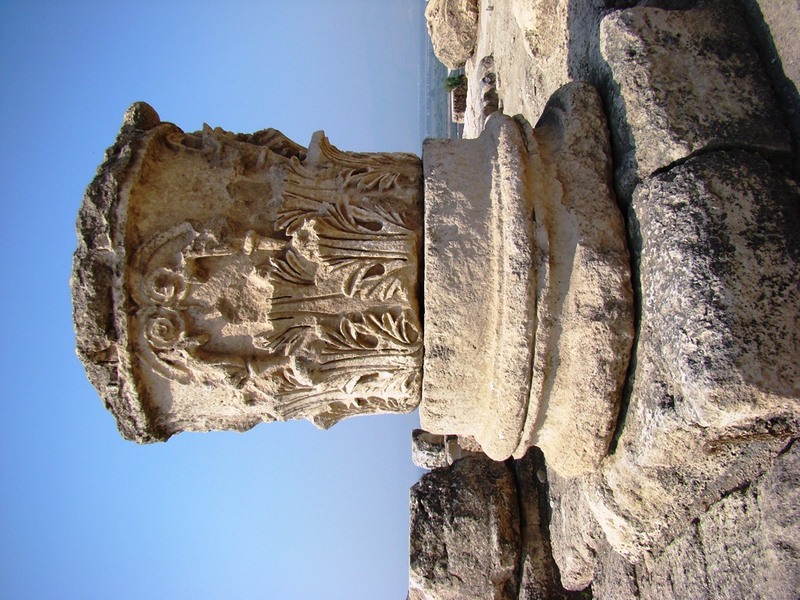 Among the interesting ruins at Omrit are several composite capitals. These are a combination of Corinthians and Ionic orders. Composite Capital at Omrit. Photo by Leon Mauldin. Note the beautiful acanthus leaves. 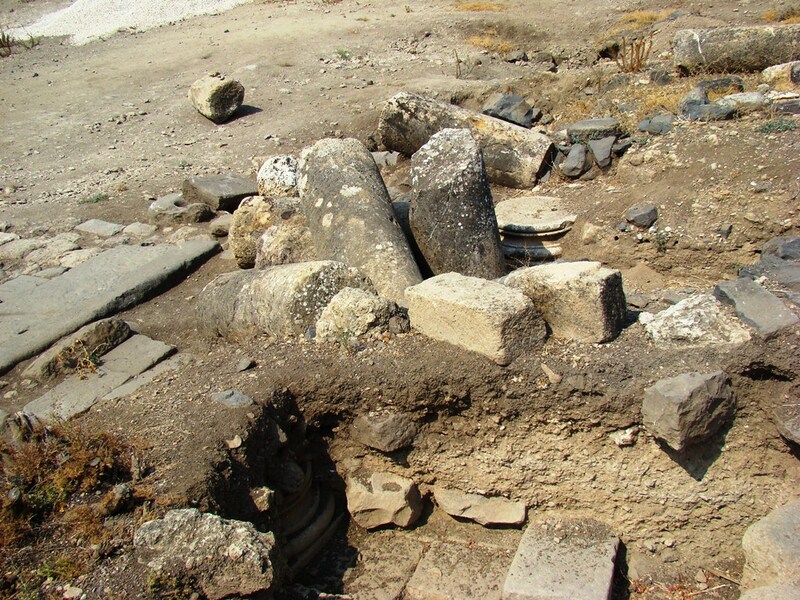 Omrit was destroyed by earthquakes in the 4th and 8th centuries AD. Evidence of Earthquake at Omrit. Photo by Leon Mauldin. 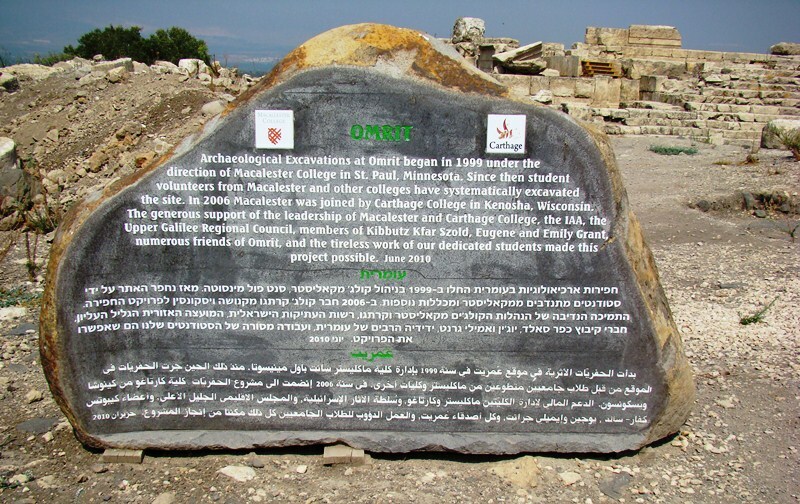 Omrit is located at the foothills of the Hermon Range, and is 2.5 miles from Caesarea Philippi (Banias). 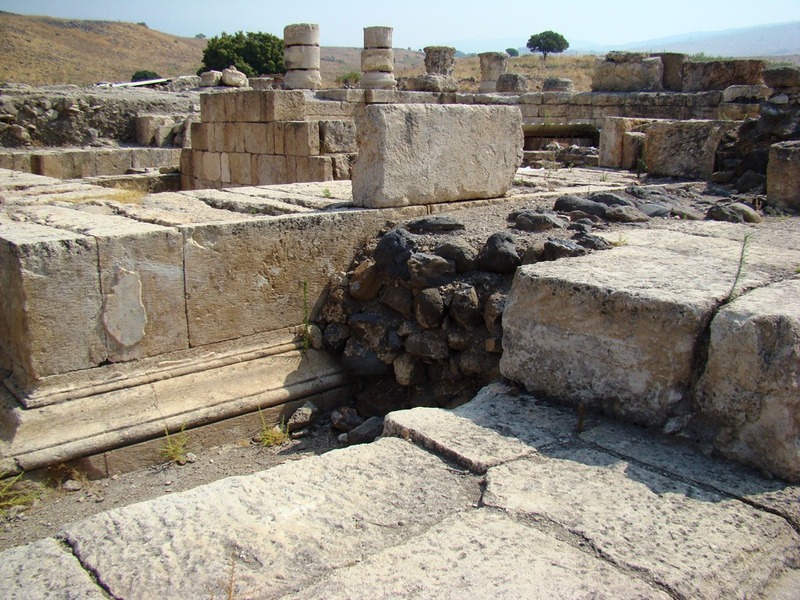 It was strategically situated near the crossroads of the Tyre-Damascus and Scythopolis (Beth-shean)-Damascus roads. Impressive remains of a temple devoted to Emperor worship may be seen here. Herodian Imperial Cult Temple at Omrit. Excavators believe this temple was built by Herod to honor Caesar Augustus. Photo by Leon Mauldin. I was glad to visit this site this past September 2011, along with Ferrell Jenkins when he and I made a personal study trip at that time. BTW, Mr. Jenkins is currently directing a tour in Israel. You can follow their journeys here. You are currently browsing the Leon's Message Board blog archives for September, 2012.